Families planning to put together a plan to save for college often look at 529 Plans, which offer a tax-advantaged way to save money, as a potential option. If enough money is saved through this vehicle, there is less stress at admissions time about applying for financial aid or searching for scholarships. Investments made in these accounts are allowed to grow free of federal and state income taxes. Also, all withdrawals used for qualified higher education expenses are exempt from federal income tax. The account holder retains control of the assets within the program regardless of the beneficiary’s age. Most plans have very low minimum monthly contribution limits. The beneficiary can be changed at any time to another member of the beneficiary’s family. 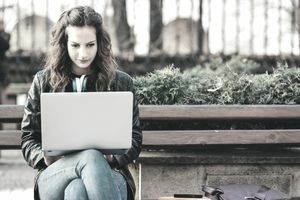 Money can be used at virtually any accredited college in the country and can be used to pay for a variety of college expenses, including tuition, room, board, books, fees, supplies and required equipment. Assets within 529 plans are protected from bankruptcy. Account owners can make a lump sum contribution of up to $70,000 per beneficiary or $140,000 if married filing jointly and avoid incurring a Gift Tax on this amount by electing to use five years of the annual gift tax exclusion all in one year. Previously referred to CollegeBoundfund, Rhode Island now offers two options for 529 College Savings Plans under a different name. Both plans are managed by Ascensus College Savings, which replaced AllianceBernstein as the program manager in 2016. The strengthened 529 college savings plan features lower fees, a wider array of investment options and improved customer service for the more than 18,000 Rhode Islanders with CollegeBound accounts. CollegeBound529: This is an advisor-sold plan which features Invesco mutual funds and ETFs. CollegeBound Saver: This is a direct-sold plan which features funds from Invesco, Vanguard, and BlackRock. Contributions to the Rhode Island 529 plan of up to $500 per year by an individual and up to $1,000 per year for married taxpayers filing jointly are deductible in computing Rhode Island taxable income, with an unlimited carryforward of excess contributions. It means that if a Rhode Island couple filing a joint return contributes more than $1,000 on behalf of eligible beneficiaries or children, they are still only allowed to deduct a maximum of $1,000 on their tax return in any one given tax year. Those amounts, however, can be carried forward and used in subsequent tax years if the couple does not meet the maximum amount. Contribution deadline is December 31. When it comes to determining financial aid eligibility, Rhode Island excludes the value of these accounts for state financial aid purposes. Qualified distributions are exempt. Rhode Island residents trying to decide whether to use an RI 529 plan versus another state's Section 529 plan need to account for the potential tax savings of contributing to their in-state plan. Considering that the top Rhode Island income tax rate is 5.99%, each deduction of $500 can save a taxpayer up to $29.95 at tax time. Rhode Island does not currently offer a tax deduction to residents contributing to out-of-state plans or other types of college savings accounts such as a Coverdell Education Savings Account (ESA) or UTMA Custodial Account. As of the 2015 RI state income tax returns, you will need to file Schedule M, RI Modifications to Federal AGI, to claim your tax deduction. Go to Line 2g – Tuition Saving Program (section 529 accounts). According to the instructions, “A modification decreasing federal adjusted gross income may be claimed for any contributions made to a Rhode Island account under the tuition savings program. The maximum modification shall not exceed $500, $1,000 if a joint return.” The total net modifications from this form are then transferred to the RI-1040 or RI-1040NR. The Rhode Island 529 Plan tax deduction is an "above the line" income adjustment, meaning residents can claim it even if they do not itemize their other deductions (opting for the standard deduction).